A secluded escape from the rest of the world, tucked away in the Diamond Peak Mountains, where outdoorsmen experience world class hunting, fishing, and recreation. Come hunt the most sought after elk management units in the state of Colorado. Areas 2 and 201 in northwest Colorado offer much of the premier trophy elk to be found in the western USA. We also offer our services for trophy mule deer hunts in both of these units. We welcome rifle, archery and muzzleloader hunters. Our success rate has been 100% over the past 15 years. We are avid hunters and try to make every hunter feel at home, to relax and enjoy the scenery as well as the comradery generated by the collection of guides, hunters, cooks and friends. The lodge is located on Talamantes Creek at the base of Diamond Peak in the northwest corner of Moffat County. It is a historic 3 story sandstone structure built in 1911 and refurbished in 1991 to accommodate a superb hunting lodge. 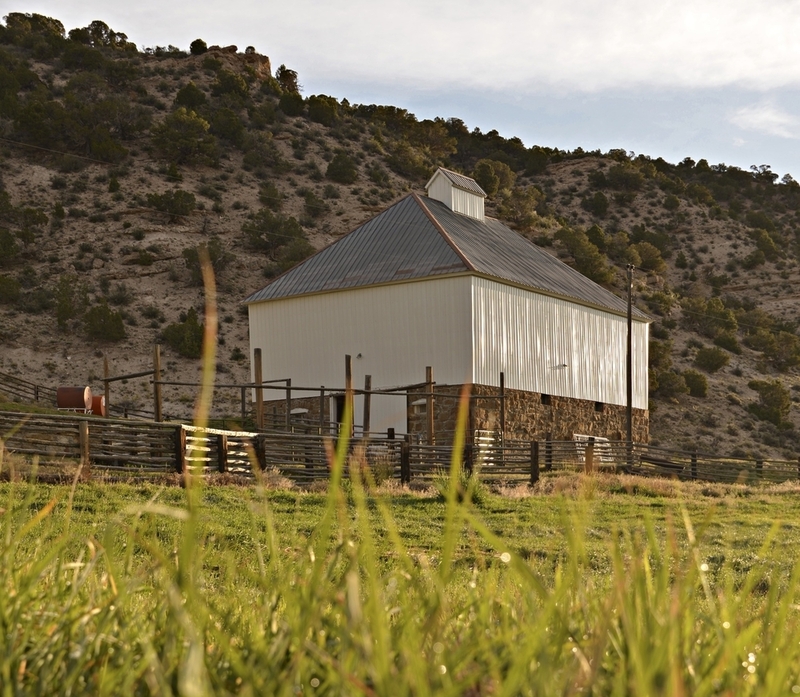 Its 24" sandstone walls and covered veranda give you the feeling that you're still in the old west. The creek is loaded with brook trout and can be fished before or after the hunt. The food is superb! You will dine on prime rib and steaks, lamb chops and roasts from ranch raised livestock, salmon and shrimp, pita and lemon rice and other Greek dishes prepared by a renowned area Greek chef. This is not just a hunting trip, it is a once in a lifetime adventure! So don't miss out. Hunt with us, we promise it will be unforgettable. For references, please call or write. Our lineage traces all the way back to 1888 in small mountain village of Northern Greece named Kaloscopie, where family, food and faith are the most important values of life. It's in our blood, and we love to share our family traditions and hospitality. Everyone that walks into our door becomes family. We are located in the northwest corner of Moffat County in Colorado. Contact us if you need more specific instructions.